Why do Data-Limited Fisheries Matter? We know very little about the sustainable limits of most fisheries in the world. Roughly 80% of global catch currently comes from fish species that have not been assessed for whether current catch levels are sustainable. Some of the most vulnerable fisheries, both ecologically (e.g., coral reef) and geographically (e.g., in developing countries), are also some of the least assessed and most data-poor. Fisheries have tremendous value. More than 4 billion people rely on seafood for at least 15% of the animal protein they consume. The total economic impact of wild capture marine fisheries has been estimated at $225-240 billion per year. 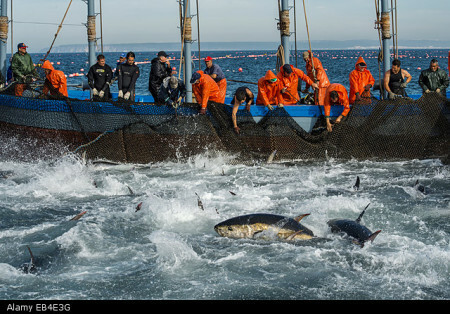 There are also vast ecological and cultural values to healthy fisheries and ocean ecosystems. Global fisheries are being exhausted because we are fishing at or beyond the limit of what is sustainable. According to the U.N.’s Food and Agriculture Organization, wild capture fisheries catch has expanded from about 20 million metric tons in 1950 (thought of as the beginning of industrial fishing) to roughly 80 million metric tons today, with little change over the past 30 years, despite increases in population and fishing effort. A recently-published paper by Pauly and Zeller, based on a decade-long global catch reconstruction project, hypothesized that catch peaked at around 130 million tonnes in the mid-1990s and has declined much more strongly since then. This means we are fishing out the oceans and depleting stocks to keep pace. Of assessed stocks in 2011: 28.8% overfished, 61.3% fished at their biological limit, only 9.9% fished at a level below the maximum sustainable yield. According to the World Bank, depleted fisheries are estimated to cost $50 billion per year in economic losses. Numerous strategies exist to restrain fishing to sustainable limits, even for data-limited fisheries. Examples include: regulating the amount of catch (e.g., catch limits); limiting fishing effort (e.g., temporal/spatial restrictions, trip limits, days at sea limits); rights-based management (e.g., catch shares, TURFS); market-based incentives (e.g., consumer demand, changing major buyers’ purchasing policies, eco-labeling); and marine protected areas (e.g., no fishing zones). However, each of these approaches requires a gauge, or measure, of what level of fishing can be sustained year to year. And for this, accurate and timely scientific information is key, but it is too often underfunded or otherwise beyond the reach of fisheries managers. 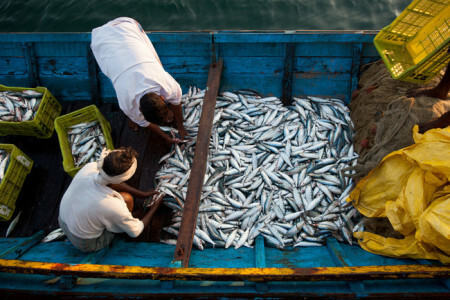 In developed countries, investments in fisheries science has focused mostly on targeted, money-making fisheries, while in less developed countries, resources devoted to fisheries science (and connecting science and management) are often extremely limited. Lacking good information, decision-making is often governed by the constant pressure to maintain the status quo or to catch even more year after year, regardless of whether it’s leading to diminishing returns.